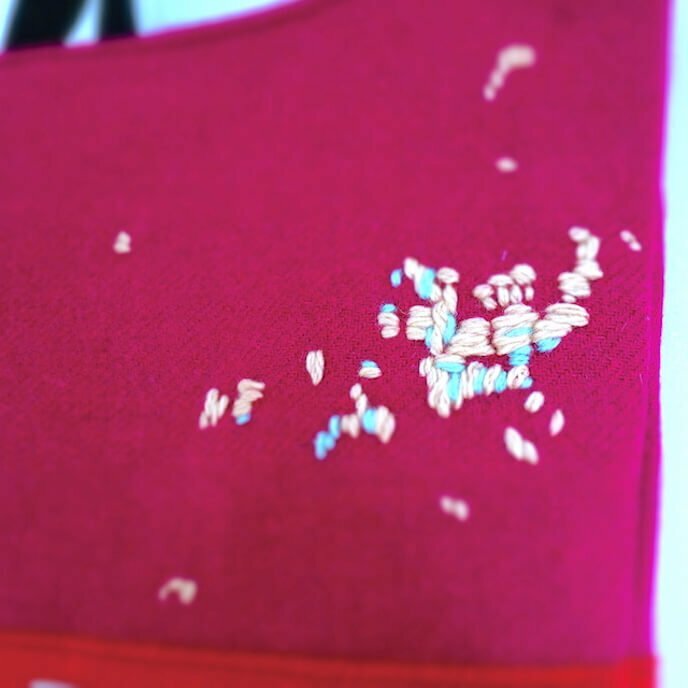 A luxury tote bag, in pure virgin wool cloth, hand woven in Outer Hebrides of Scotland, hand-embroidered by Hebridoodle. 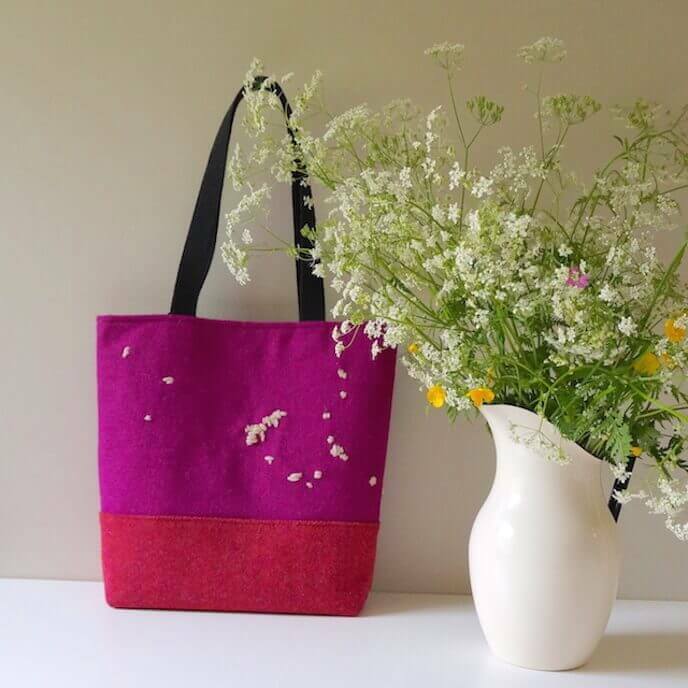 This simple in design but stylish and original bag is made with wonderful Harris Tweed. A luxury, pure virgin wool cloth, hand woven in Outer Hebrides of Scotland. 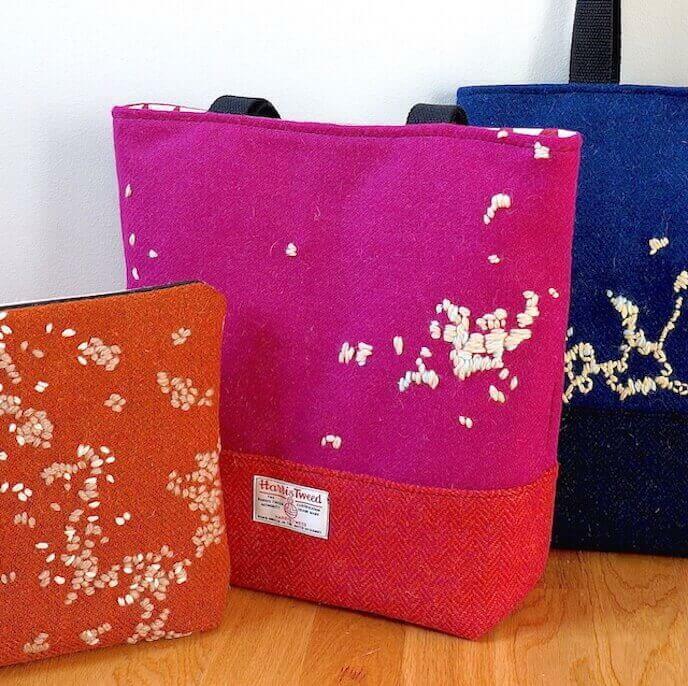 Like all Hebridoodle products it is embellished with hand embroidery. This bag easily fits A4 format. 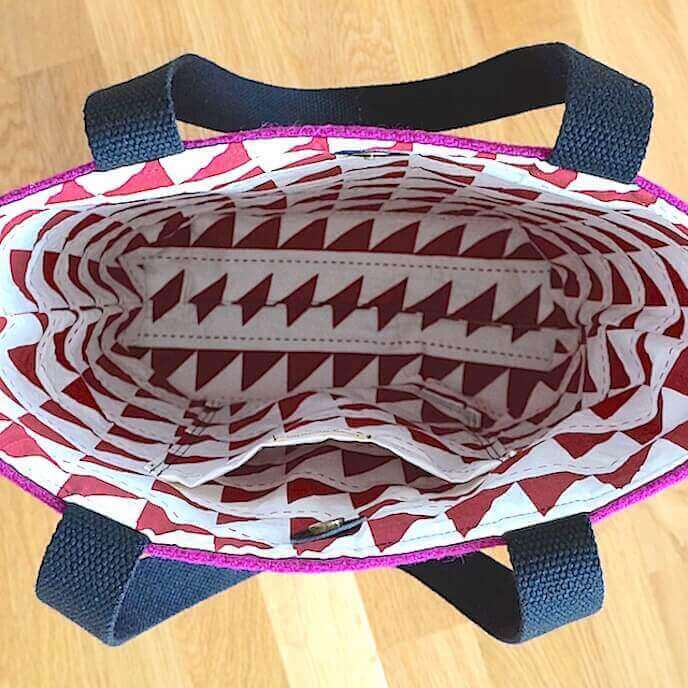 It is a perfect size for a handbag or shopping bag. 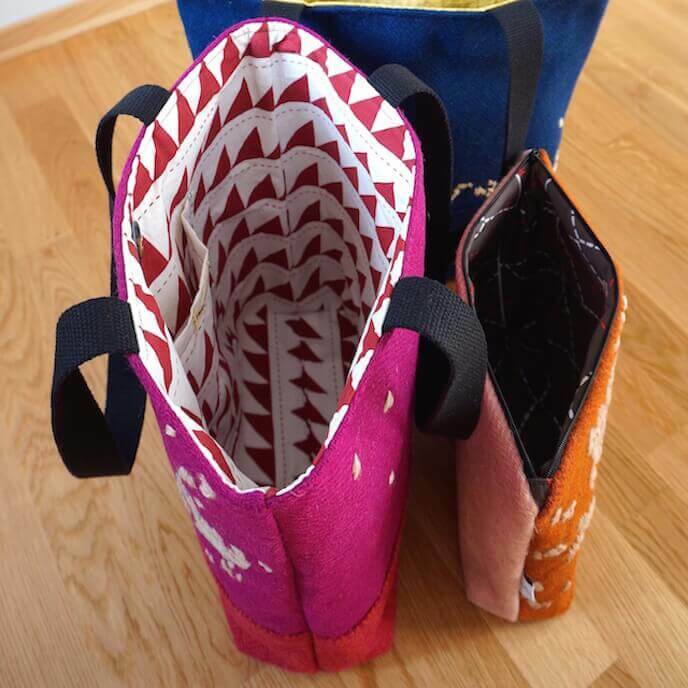 Can also be folded and packed away for travel.It is secured with magnetic clasp, has an inside pocket and it is fully lined with cotton fabric. Handles are made with strong and soft cotton tape, they are 63 cm long. Sylwia made this design as an experiment when she started to work on her ‘culture’ series. In this collection growing bacteria cultures inspires decorative patterns that are hand embroidered on every item.